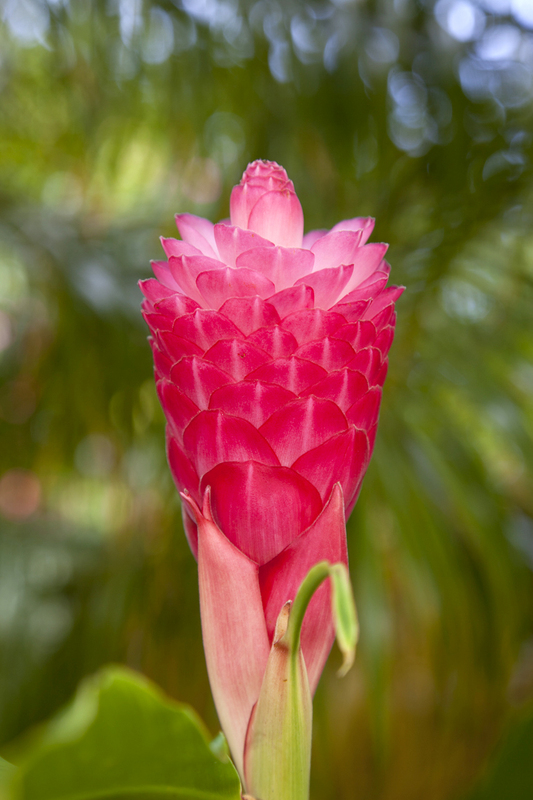 Hawaiian flowers are colourful and exotic. Yum, yum! What flavour might it be? 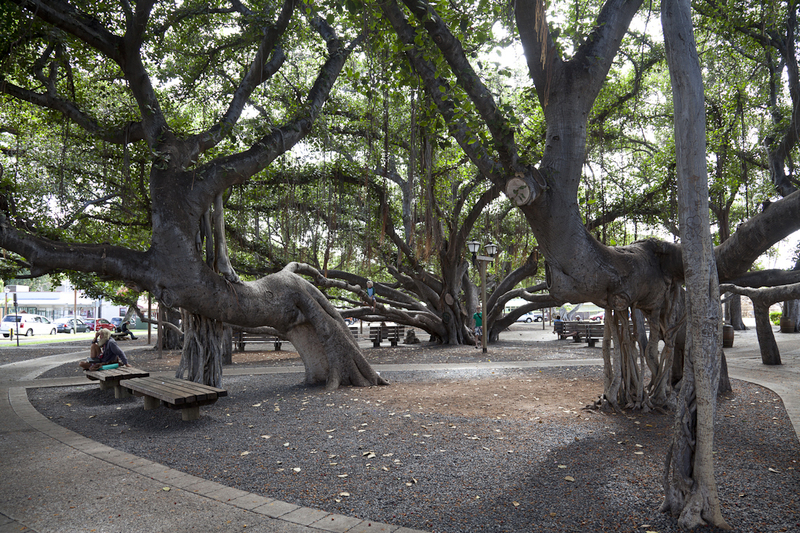 This large Banyan Tree is in Lahaina, Maui. At over 1/3 of an acre it provides a unique shaded area in front of the Courthouse. 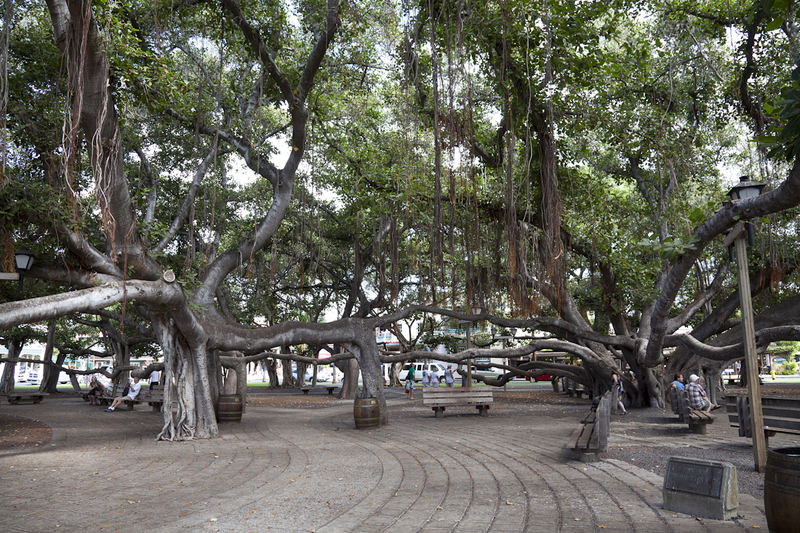 The tree was planted in 1873 and is a wonderful place to be on a hot day. Too bad they don’t grow in Canada! 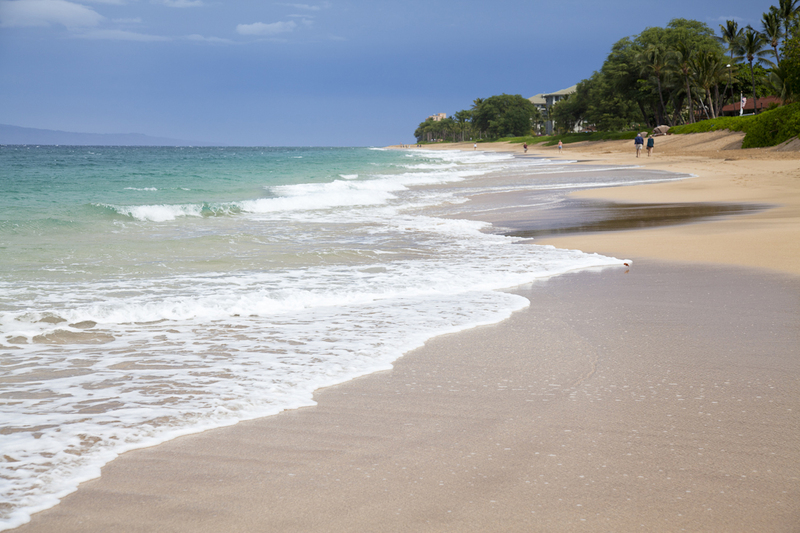 Hawaii was formed as the Pacific Plate slid over a hotspot in the earth’s mantle. 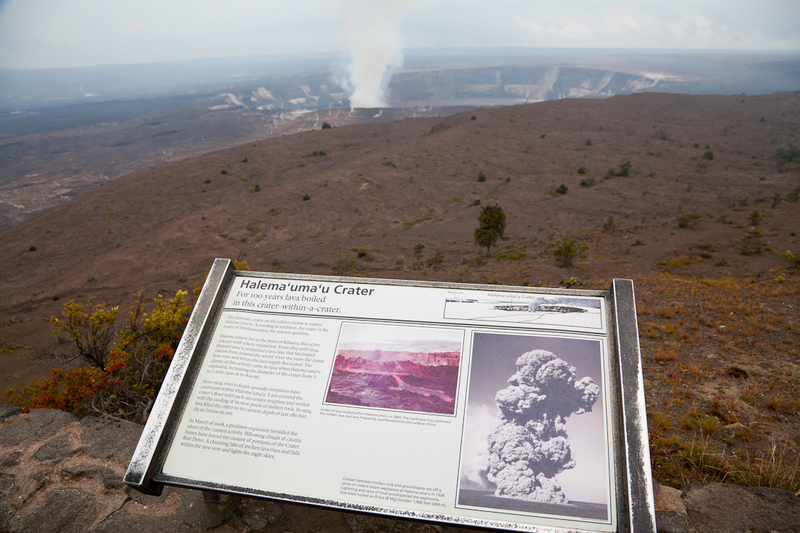 The Big Island is the most recent of the islands to form and is still volcanically active. Awesome desolation surrounds the crater of the most recently active lava pit, Halema’uma’u Crater. The plume is composed of steam and sulphur dioxide, which when the wind blows the wrong way requires evacuation from the area as air quality gets very bad indeed. One feels very small in the presence of this kind of power. Fun to walk on. Watch out for the surf. Basically how I spent my last two weeks. 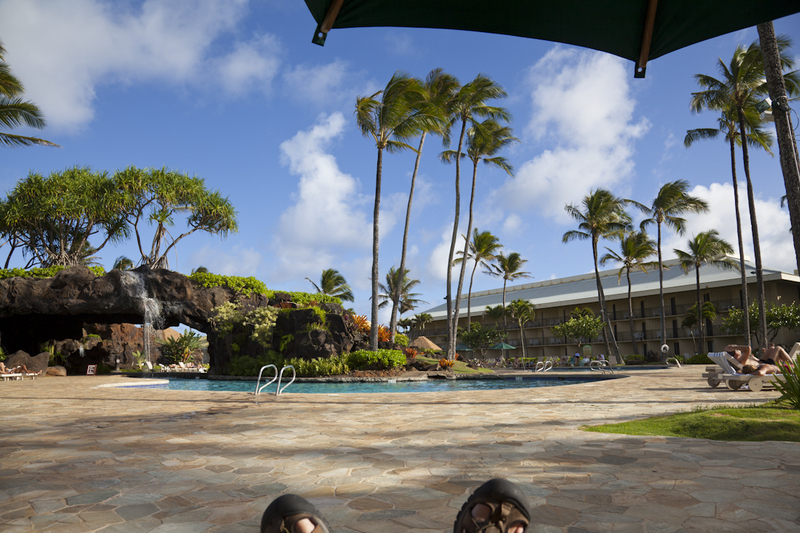 We visited Hawaii for the past two weeks to celebrate our 50th Anniversary. 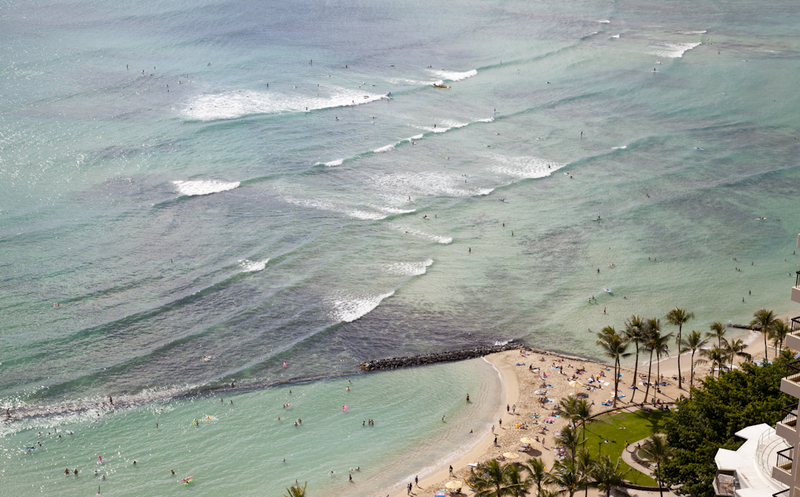 One of our first views of Waikiki Beach from the top of our hotel.